Luckily, our worries were unfounded. Even though there were a lot of people before us, we saw three busses approaching at the same time. So everyone who came to the bus station in good time, got a place in one of those three busses. The road from Aguas Calientes to the gates of Machu Picchu is a winding one, and it took about 20 minutes to get there. As we finally arrived there, we saw Ramiro waiting for us with the other Pachacutecs who decided to hike up. After that he went into the ticket office to pick up our tickets which didn’t take very long so we were the first ones who could pass the turnstile. As soon as we got inside, Ramiro asked us to stay patient and don’t spread around but to stay in a group close to the entrance. Just right after that he vanished in the crowd. 10 minutes later he came back and we saw a tour guide pass hanging around his neck. He told us, our family Pachacutec would split into two groups. He would make the tour for english speaking visitors and Eduardo for the spanish speakers. We started to move and after 20 meters (65 ft) we turned left around a bend and there it was – the place which I visited in my daydreams for many times and now I was here. At the very back of Machu Picchu, we saw the famous mountain Huyana Picchu. But no postcard can compete with this when you see it in real. 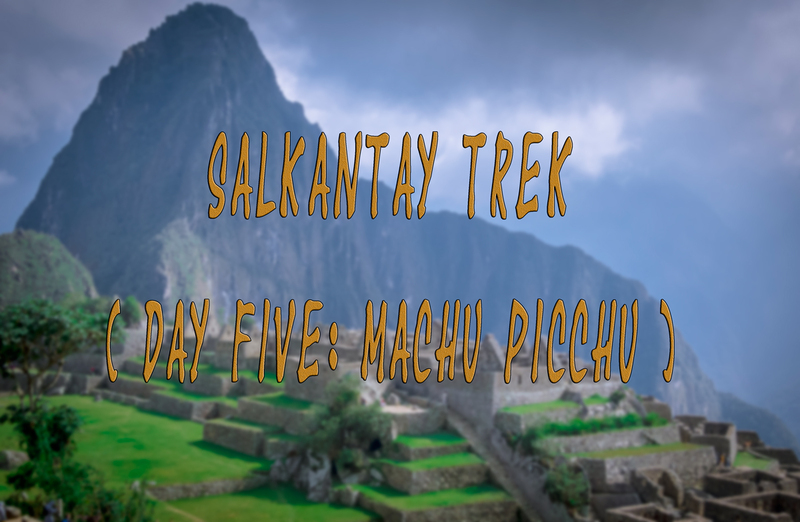 While I was observing the landscape of Machu Picchu and its ruins, I was thinking at the same time about my upcoming hike to Huayna Picchu in a couple of hours. But first Ramiro took us on his guiding tour through Machu Picchu and told us a lot of interesting things about this place and the life of the Inca people who used to live here. He accentuated that for the Peruvian people it is important to let the world to know that Hiram Bingham might be the one who introduced Machu Picchu to the world. But another one, a Peruvian, namely Agustín Lizárraga, discovered this place 9 years before Hiram Bingham. Furthermore, Ramiro explained us that the statement of Hiram Bingham, Machu Picchu is a lost place, is not true. 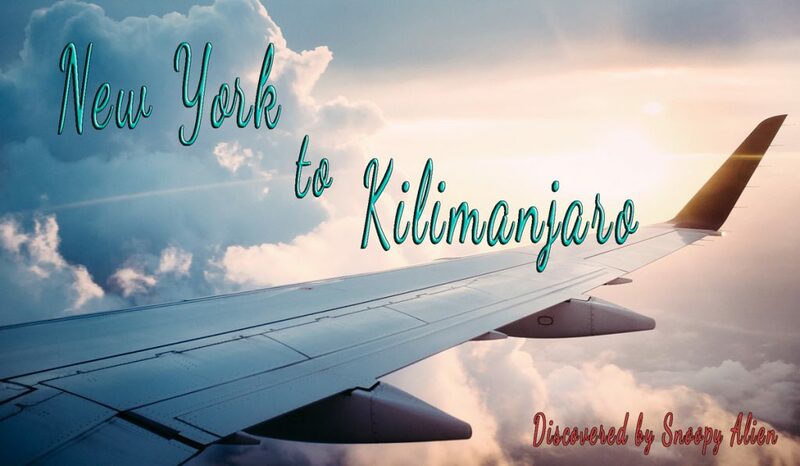 For Bingham, this place was a lost place, but that’s just because he was searching for the remains of Vilcabamba. When he arrived at Machu Picchu in the year 1911, he thought mistakenly, he found what he was searching for. For Machu Picchu was completely unknown for the rest of the world because the last Inca ruler evacuated the people from Machu Picchu as soon as he got the message that the spanish conquistadores are about to come. That’s why he sent his people to the sacred place of Vilcabamba to offer resistance against the spanish invaders and thus also to conceal Machu Picchu from them. But the exact reasons of his action are unknown because the Inca people didn’t have a script system except of their system of Quipu which is not decoded till now. The conquistadores didn’t discover Machu Picchu, but the Inca people didn’t return here for whatever reasons. Hence, this place remained for 400 years left to nature and later, only some locals came here to plant vegetables. 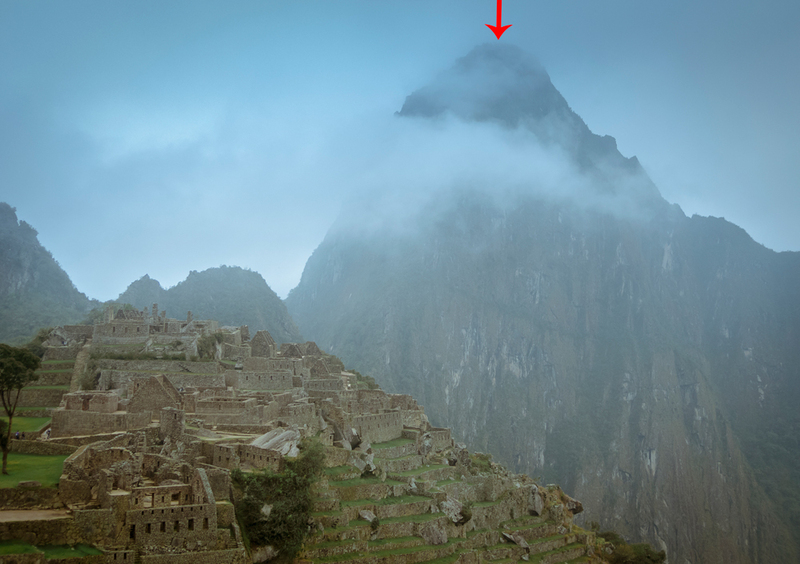 Therefore, for the Peruvian people, Machu Picchu is not a lost place but a forgotten one! By the way, the name “Machu Picchu” was given by Hiram Bingham himself and means in the Inca language Quechua “Old Mountain”. The truth is, that nowadays nobody knows the real name of this place because of the lack of writing system of the Inca people. And it seems to be that it will never happen to know the real name of Machu Picchu. 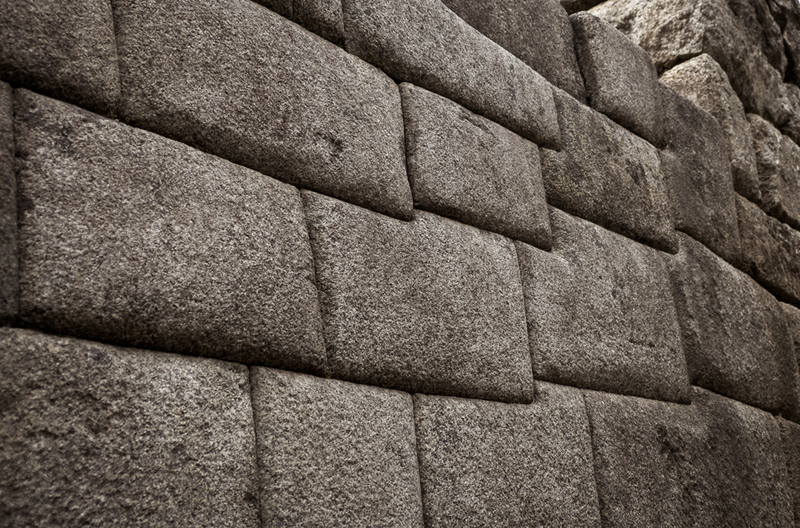 As Ramiro guided us through Machu Picchu, he showed us the workmanship of the stones the buildings were made of. He explained that the more important a building was, the better was the workmanship. And particularly important buildings, like the Temple of the Sun, even had curvatures and emphazied the significance of its function. Ramiro also told that the archeologists assume Machu Picchu was a place for the aristocracy. 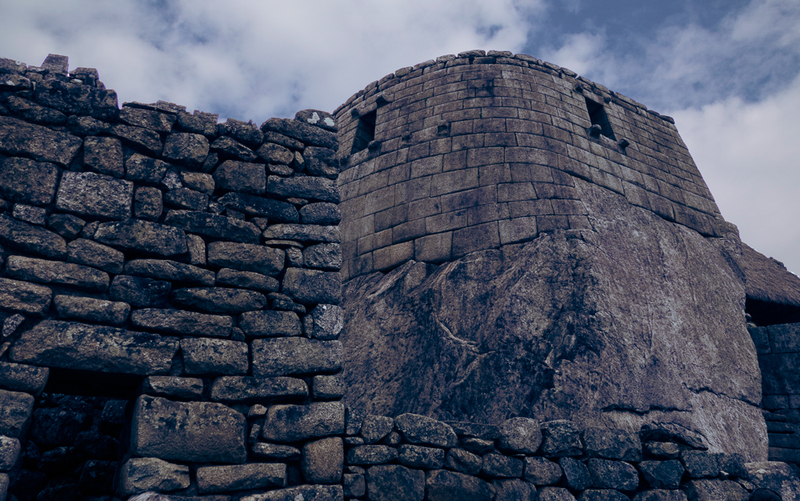 A place of refuge and a hotbed for the nobility of the Inca imperium, if you will. Those who belonged to rank and file, were allowed to live here just because to work for the nobility. I would go too far in this diary to mention every single place we visited in Machu Picchu. 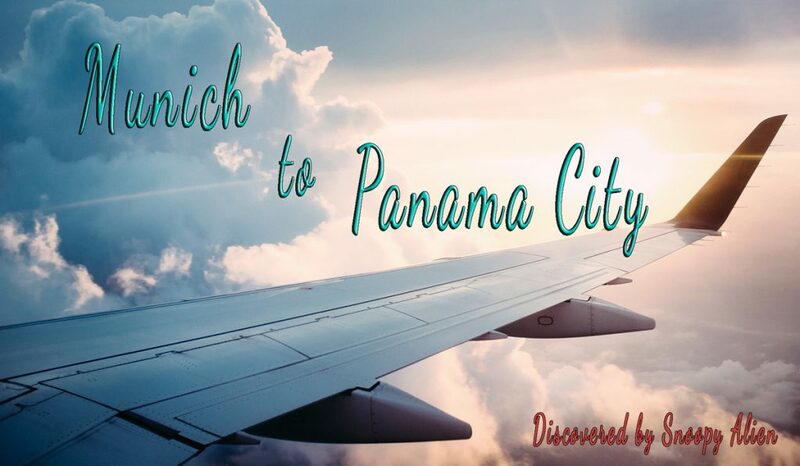 The best thing you can do, if you would like to know more about this place, is to book a flight to Peru, folks. 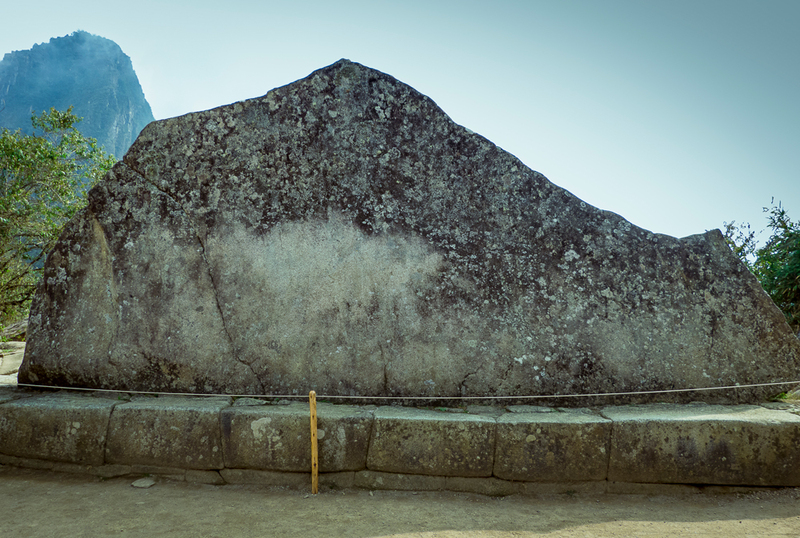 Therefore, I’ll mention the most important places in this citadel which are obligatory (in my opinion) to be visited: the stone with the rectangular pillar for astronomic observations, the stone with three stairs and the giant sacred stone which has a similar shape of the mountain behind that stone. Ramiro thanked to all of us, and with his words I finally got clear that one of my dreams became true. And that’s what I only can recommend to you: if you always considered to visit Machu Picchu by hiking there or just go there by train, don’t hesitate. Just do it! Although the Salkantay Trek was over, there was one more thing to do. When I booked the trip to Peru, I also booked a hike for Huayna Picchu (which means “Young Peak”). This mountain is not accessible for anyone because of a very narrow path which leads you right on the top of this mountain. 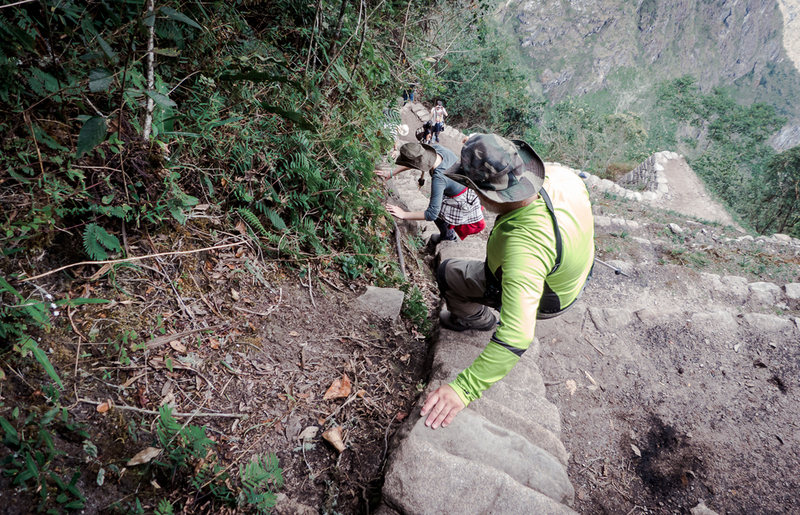 Per day there only 400 persons allowed to hike up Huany Picchu and doing this, you will get a special highlight other visitors wouldn’t have. The hike took about 45 minutes and as we arrived at the very top, I saw Machu Picchu from a completely different perspective. 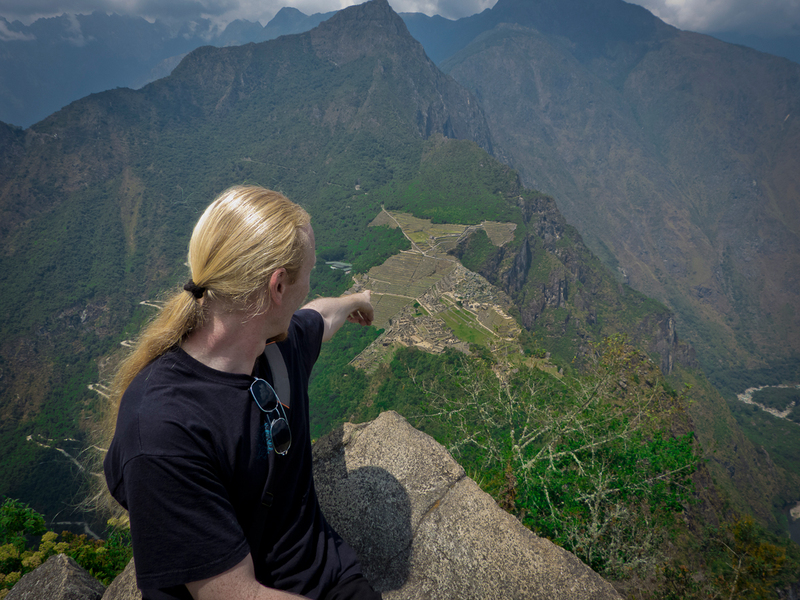 And that’s why I recommend you also to book this hike to Huayna Picchu when you visit Machu Picchu, folks. The first part of the way down was on another path and it was much more difficult than hiking up because it was more dangerous. The steps were partially such worn that on two places you could not just step down. Instead, there were thick ropes you had to grab and move very carefully downwards. After we had descended about 30% of the way, we finally came to the same path which we hiked up. From that point, the descent became easier. But in total, it took the same time as to hike up. Back in Machu Picchu we took the bus back to Aguas Calientes, and picked up our luggage at the hotel. Right after that we headed to the train station which would bring us back to Cusco. We didn’t go back together with the other Pachacutecs. Instead, we all had different departure times. By the way, the train wouldn’t bring us directly to Cusco but to a train station in the middle of nowhere. This place is a gathering point not only for the locals but for many travel agencies. When we got out of the train, there were several hundred people returning back from different treks and tours. A guy we didn’t know, was holding a nameplate with the name of our travel agency to bring us back to Cusco in his minibus. The ride from this train station to Cusco took about 1,5 hours and when we finally got back to our hotel, it was about 7 p.m.
And this is the point where my diary of the Salkantay Trek ends, folks. 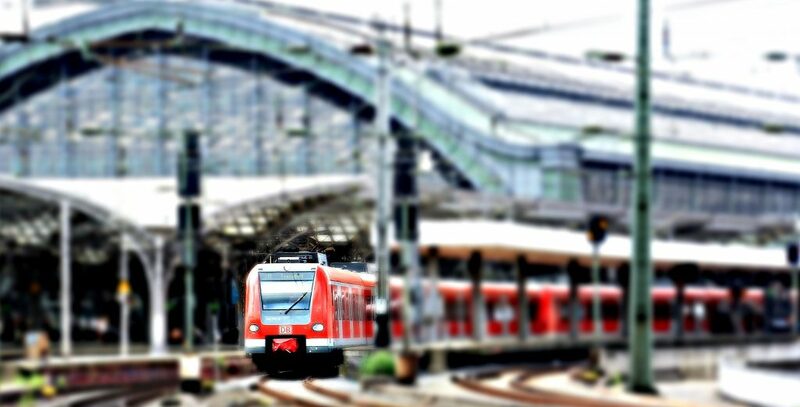 I hope, I could give you some useful information and wake your wanderlust. See you next time in other exciting trips, tours and adventures!